There’s a lot to be said about where we learn. How warm, bright or loud it is. Our comfort levels determine how much focus we’ll achieve through our study sessions. Too low and we’ll be distracted, too high and we’ll get drowsy. So what can we do fine tune our learning habitat and get even more from our clever learning methods? There’s some good evidence to support using the right lighting conditions when studying, and it’s not just the brightness of your lights. A Korean study has found that different correlated colour temperatures — from “warm” to “cool” of the Kelvin scale can affect our performance. By comparing different coloured LEDs against a control of standard incandescent lights they found that for intensive tasks, the optimal colour of light was about 6500K – roughly the same as daylight. Cooler (that is, more red tinted lighting) was better suited for less intensive activities and recreation. 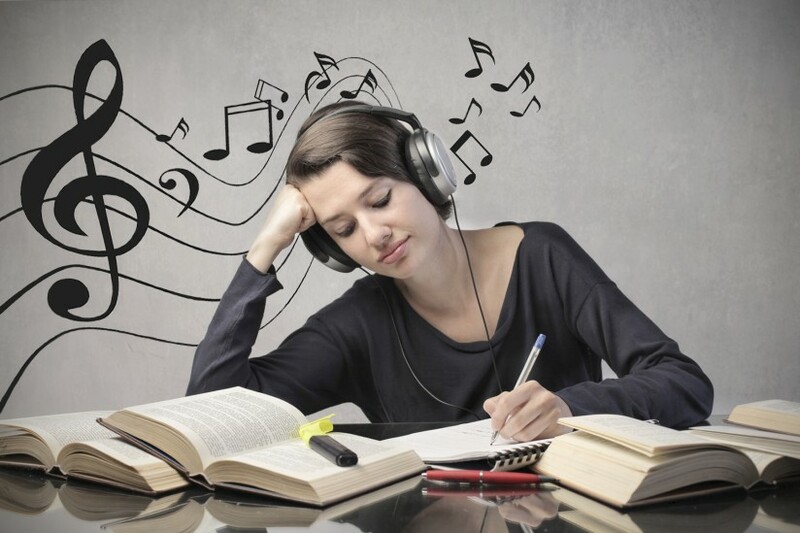 The ‘Mozart effect’ is the idea that listening to music can help you study. It’s supposed to increase performance on tasks requiring spatial-temporal ability, which can be summarised as the ability to picture a spatial pattern and understand how items or pieces can fit into that space. However, the evidence for this is hotly contested, showing little reproducibility. What appears to be consistent however, is that listening to music influence your psychological state, both in terms of mood and arousal. So to end on a high note, if you really want to incorporate music into your studying, follow the research and go for major scales with a higher tempo to increase your arousal and mood. A meta-analysis of 22 original studies shows just how significant the temperature effects on performance can be, with temperatures outside of 10-32°C causing close to a 15% drop in performance. Something of note is that hot and cold temperatures affect different types of tasks. Temperatures lower than 18°C significantly reduced performance in reasoning, learning and memory, whilst temperatures above 26°C yielded minor improvements in these.However, attention, learning and mathematical reasoning were severely affected in the higher temperatures. The take home message here though, is to stay within the temperature sweet spot between 18 and 26 °C. Whilst these ideas may have been intuitive, it’s good to know that there’s some solid ground for their effects. Stay cool, use your bright blue lights and focus on uptempo, uplifting music. Minor scales will only lead to… treble.